So Many Stamps So Little Time: MFT Adorable Elephants! 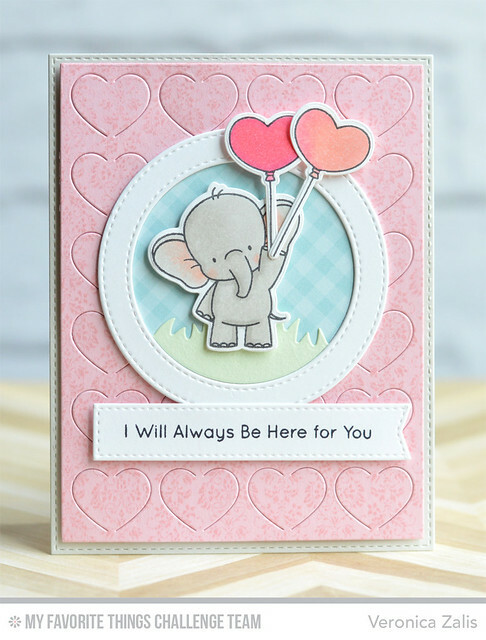 I couldn't wait to play with Birdie Brown's adorable new set Adorable Elephants so I decided to create one more card using MFT Sketch 258! That little elephant is just the cutest thing! I colored my image with Copic markers. You still have 24 hours to play along with MFT Sketch Challenge 258! Thanks for stopping by! Aww this is so cute. Love the hearts behind there!